All of our staff are committed to the health and safety of your pet. We ensure all of our guests receive plenty of attention, fresh water, premium pet food, and opportunities to exercise, regardless of the length of the stay. In addition to our well-trained and experienced handlers, our facilities are equipped with appropriate enclosures as well as 24 hour surveillance. We are glad to accomodate special requests, as appropriate and our additional services, listed below, can help your pal be even more comfortable and happy. We are happy to bring your pet into compliance. However, if problems arise at check-in that we cannot immediately rectify, your pet may need to be medically boarded until all requirements are met. Therefore, we strongly advise communciation prior to check-in to ensure a fast and stress-free admission. All pets are examined at admission for fleas, ticks and other parasites; if there is any infestation your pet will have to be treated before we can complete check-in. All guests are screened for temperment and size to determine social interaction opportunities. Pets are admitted and discharged during regular office hours only. Dogs are housed in indoor and outdoor kennels. Cats are housed separately for a quieter and calmer environment. All indoor kennels are heated/air-conditioned. We provide bedding, blankets, bowls, and toys. All kennels are routinely checked throughout the day to ensure cleanliness. All pets are fed twice per day or by client request; please provide written instructions. All pets are fed a premium diet of Hill’s Science Diet or Purina Pro Pet food. You may bring your own pet food; wet food must be in unopened cans. We cannot accept any raw diet or home-prepared food. You may purchase treats at our shop or bring them from home. Medications or treatments can be administered for a nominal fee. Medications must be in their original packaging or cannot be administered; please do not pre-bag or store in food containers. For non-life threatening medical conditions that occur while your pet is boarding with us, we will make every attempt to contact you before we begin treatment. If we are not able to reach you, we may have to medically board your pet, to ensure the safety of our other guests. In life-threatening emergencies we will make every attempt to contact you, but will immediately treat in our hospital to the best of our abilitiy until we hear from you. You can designate a person to act in your behalf regarding medical emergencies at check-in. 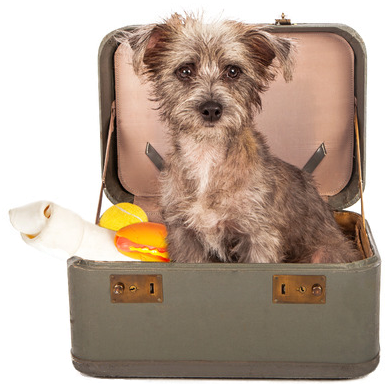 Any medical treatment required while your pet is boarding will be billed at check-out. Cats receive individual attention from our staff throughout each day; all cats are given the opportunity to leave their kennel and play with premium cat toys each day. All dogs are let out approximately 6 times a day in play groups with other dogs of their own size. Please let us know upon drop off if your pooch is “dog-aggressive” and we can discuss other options. A common and normal occurance when boarding dogs is urination to mark their territory and also to signal dominance, aggression or excitement. We recommend that dogs are groomed on check-out day to ensure they are fresh and clean. Reserve as soon as possible, particularly for holiday stays. Complete your admittance form online for faster check-in. Submit documentation of vaccinations and physical exam. Pack medications in their original container. Provide special food and special feeding requirements, if needed. Choose add-on services for a more enjoyable stay for you and your pal. Make your pal’s stay even more fun with extra playtime, one-on-one attention, and/or grooming services. Give your dog or cat the individual attention they are used to with these 30-minute one-on-one play sessions. Whether your pal likes to run, jump and play, sunbath and cuddle or all of the above this is a great way to provide some extra TLC. This is particularly good for cats and also for dogs that are not very sociable or have special needs. We can also help reinforce training while your pet is being boarded. A great way to make your pal’s stay more enjoyable, daycare works well for active breeds, dogs that usually spend a lot of time outdoors, and puppies. Daycare participants spend as much time as possible in our safe and secure outdoor play areas. When the weather is bad guests hang out in our specially-designated indoor play rooms. Your dog will socialize with other like-size guests while being fully-supervised by our friendly and well-trained staff. In addition to the obvious benefit of looking and smelling good, your dog or cat will receive extra TLC from our experienced and friendly groomers. NOTE: A common and normal occurance when boarding dogs is urination to mark their territory and also to signal dominance, aggression or excitement. We recommend that dogs are groomed on check-out day to ensure they are fresh and clean.